In Italy you can order espresso in dozens of ways— corto or lungo, a short shot or with more water, with a splash of milk or foam, and dozens of riffs on corretto, espresso with a splash of spirits. In addition to the long list of standards, each of Italy’s twenty regions has several specialty coffee drinks little known in the States. 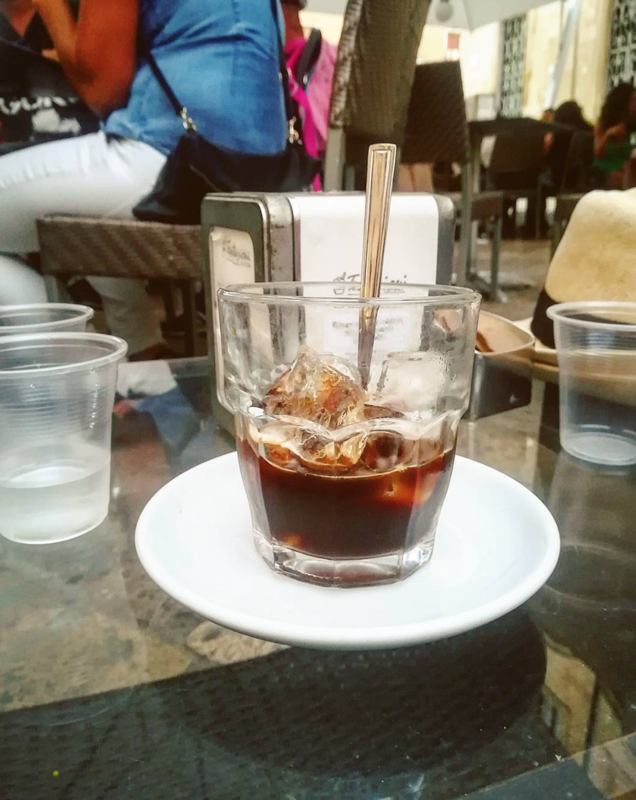 While working on Dolci: Italy’s Sweets I traveled searching out iced coffee drinks. Here are four of my favorites including a delicious riff on Negroni. 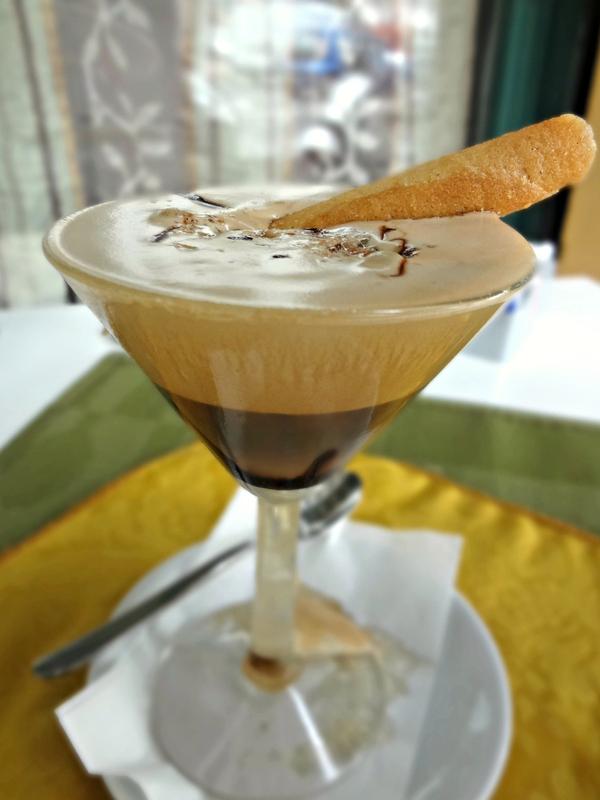 One of Italy’s most popular ways to enjoy iced coffee north of Rome is shakerato, hot espresso shaken with ice in a cocktail shaker, then strained into a martini glass. Quick chilling the espresso with this method helps preserve the coffee’s essential oils, flavors and aromas. Combine the freshly brewed espresso, sweeten to taste with sugar syrup, and 3 to 4 ice cubes into a cocktail. Shake vigorously until cold, about 10 seconds. Strain into a martini glass. Open the shaker, and using a spoon, remove the coffee foam, placing a little on top. Serve immediately. A shot of espresso served over ice sweetened with homemade almond syrup. Invented in the ‘50s in the Salento province of Puglia, where the almonds are especially aromatic and flavorful, it’s still one of southern Italy’s most popular summer drinks. Grind the almonds, a little at a time, in a mortar and pestle or food processor slowly adding water throughout until a homogenous paste. Let rest, for 3 to 6 hours, stirring occasionally, and then strain through a fine cloth. Discard the almonds. Stir in the sugar until dissolved. Store in a sealed container in the refrigerator for up to 2 weeks. Like this article? 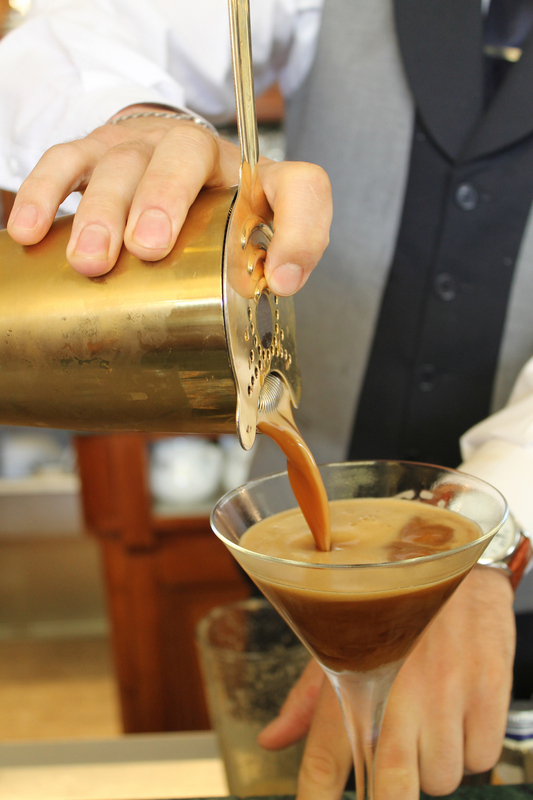 Don't miss "Italian Coffee Culture." A creamy sweet summer drink specialty of Bari. Enjoy a great one at the city’s historic Mozart Caffé. Put the hot espresso and sugar in a shaker with several ice cubes and shake until cold. Divide half of the strained cold espresso between 2 martini glasses. Stir the remaining cold espresso into the whipped cream until just combined, spoon over the espresso and serve with a cookie, if you like. 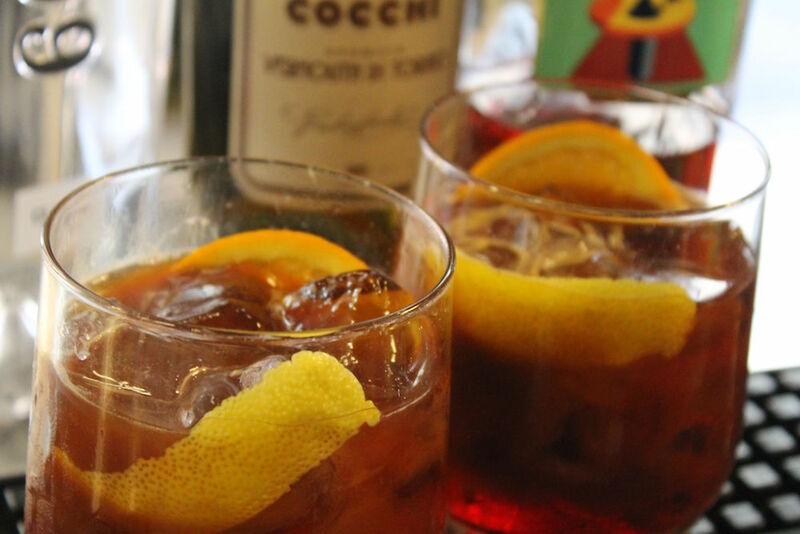 Negroni, invented in Florence circa 1919, gets an update in the town of its origin. Created by Italy’s coffee expert Andrej Godina for Ditta Artigianale, a non-traditional coffee bar in Florence, a shot of espresso is added to the classic cocktail recipe creating a pleasing hint of bitterness and added depth of flavor and aroma. Fill short chilled glass with lots of ice. Pour the ingredients into the glass and stir well. Top with hot espresso. Garnish with orange slice and lemon peel.